so unique in our new video! Come see our community clubhouse including pool, fitness center and event space. The best way to experience our unique community of RV port-homes is to stay in one. 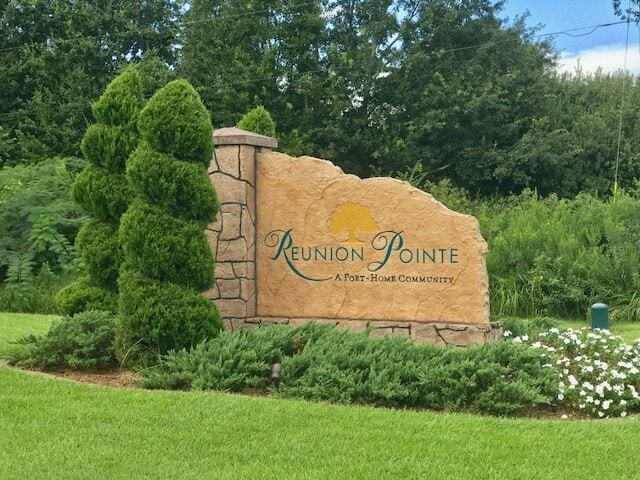 "Test Drive" an RV port-home and see why Reunion Pointe is a game changer! 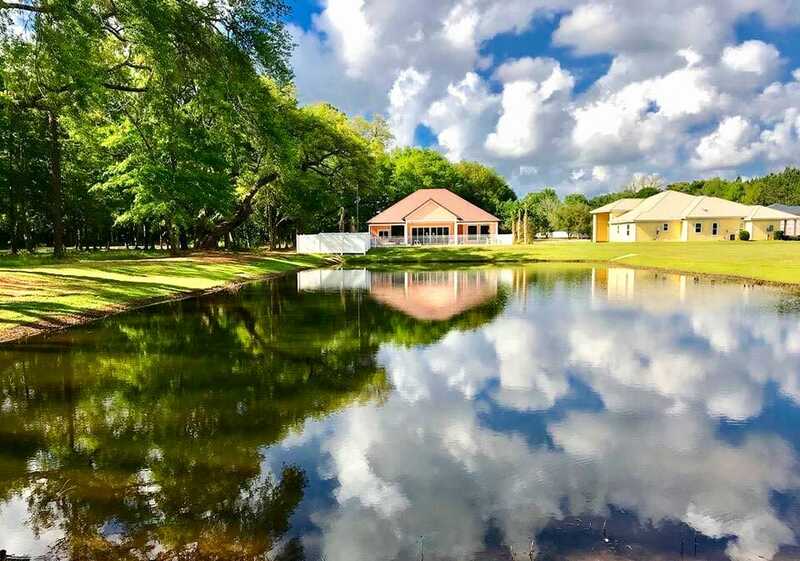 At Reunion Pointe, we are creating a community for RVers that combines the freedom of the RV lifestyle with the convenience of a luxuriously appointed home all nestled in a 100 year old oak grove. Our RVer-designed RV port-homes seamlessly integrate your RV in beautifully-appointed one to three bedroom homes. Nestled along the Gulf Coast is a cove of tranquility, a welcome retreat from today’s hectic pace. 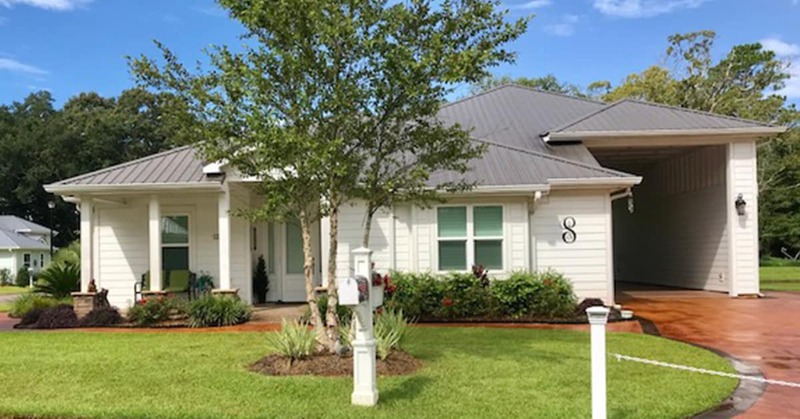 But as you sip your morning coffee in your well-appointed courtyard nestled between your Class A motor coach and small footprint home, your focus turns to a red-tailed hawk as it gracefully floats to a landing on the limb of a 200-year-old live oak in your backyard. Listen to the warm Southern breeze as it rustles the leaves of black cherries, magnolias, live and spring oaks, and palms. You have arrived at Reunion Pointe. 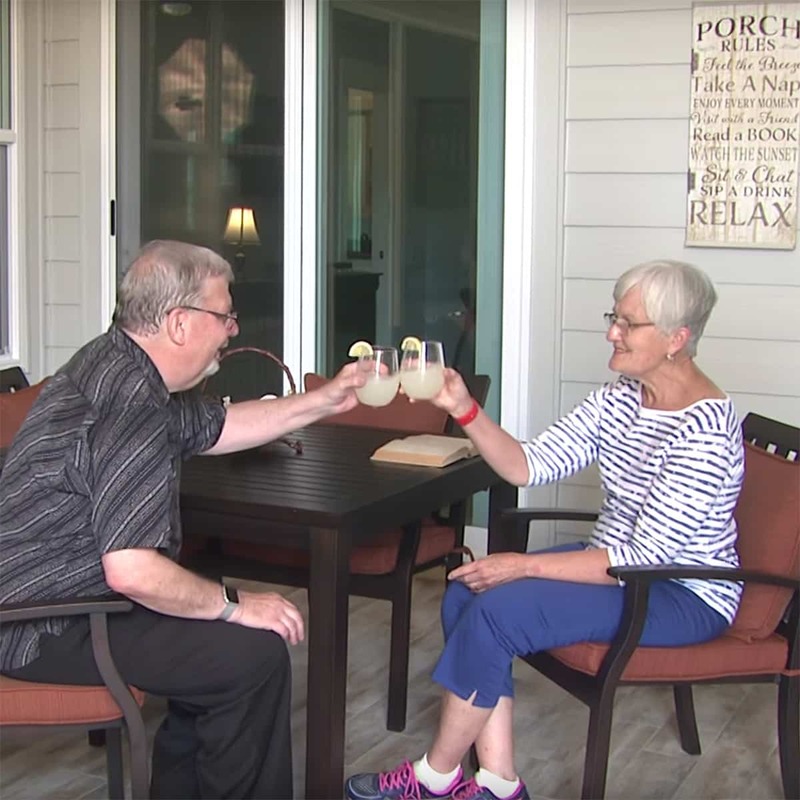 As RVing baby-boomers headed for retirement, most share a common goal—to downsize their home, while still enjoying the freedom of the RV lifestyle. If that can be done in a community of likeminded RVers—well, that would be . . . the best of all worlds. 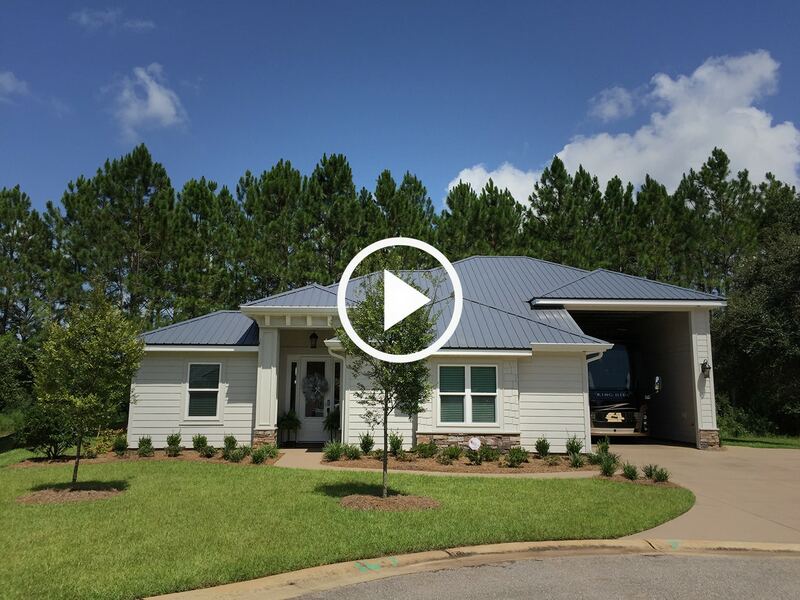 Watch the video and take a virtual tour. Then schedule your RV Port-Home Test Drive! Take an RV Port-Home for a Test Drive! You have the opportunity to do what you can only do at Reunion Pointe RV Port-Home Community - stay in a new RV port-home!. On your “Test Drive,” you will stay in our Grand Bahama model—2,548 square feet under roof with 1,142 square feet of air-conditioned area and 1,046 square feet of covered courtyard and RV port. Choose a four day and 3 night stay for only $299* or or you may elect to extend your stay to 7 days and 6 nights for only $575*. * Lodging taxes and fees apply.